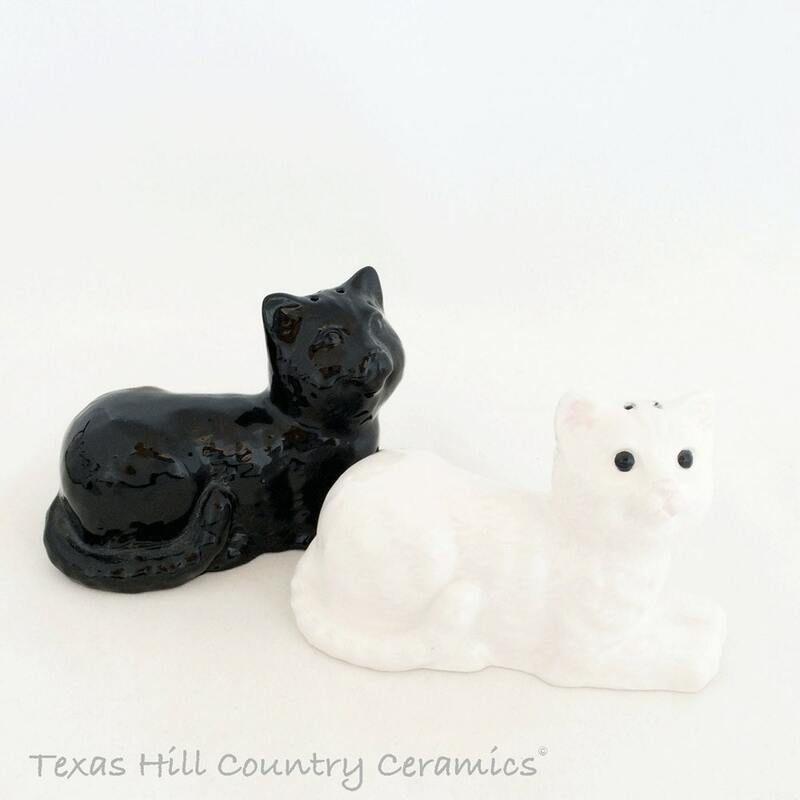 This is a set of ceramic kitty cat salt and pepper shakers in black and white. The cats are in a laying position so they are easy to grasp and won't fall over easily. 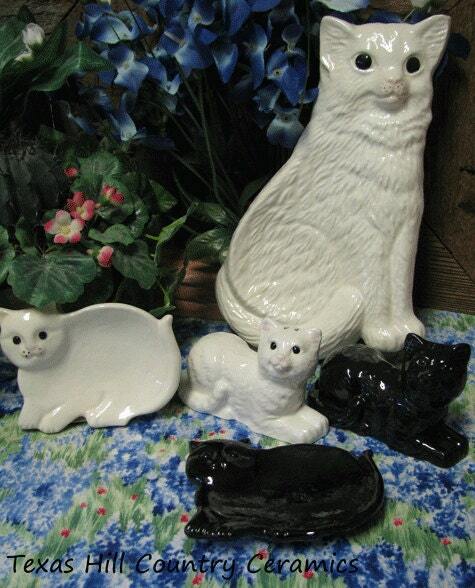 This set is made to be used but would look great in any collection. 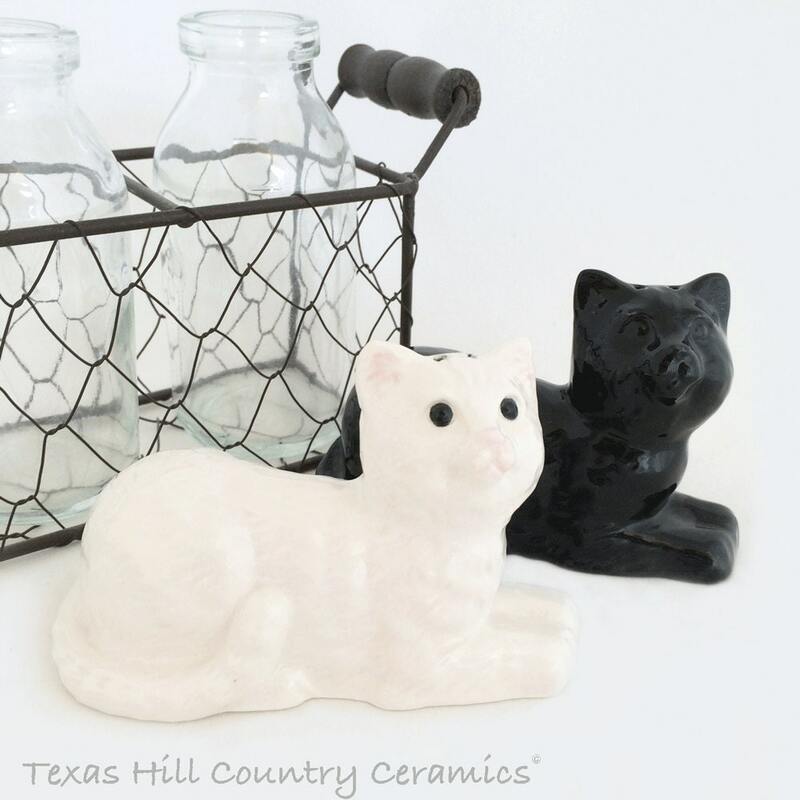 The cat salt and pepper shakers are made of ceramic earthenware. The set is made of slip cast ceramics for uniformity and kiln fired. Each cat has (food grade) plastic stoppers in the bottom for easy filling. 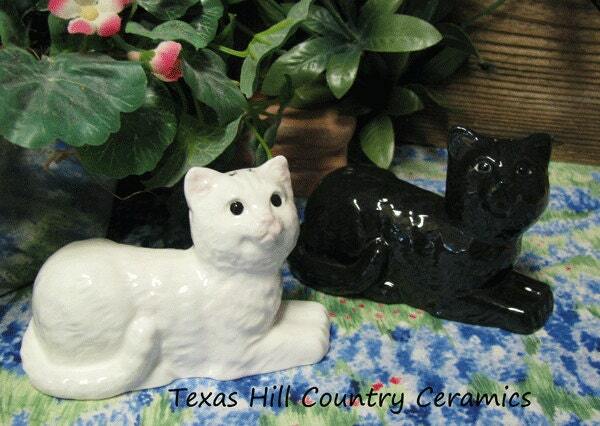 One cat is glazed in solid black and the other cat is soft white. 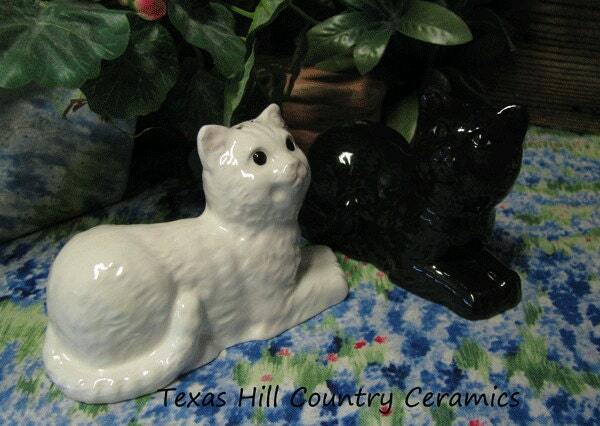 They are dishwasher safe and the color or detail of the cats will not wash off, fade or peel. • 1 3/4 inches wide.